A series of three wall quilts inspired by Scandinavian and Estonian knit sweaters. 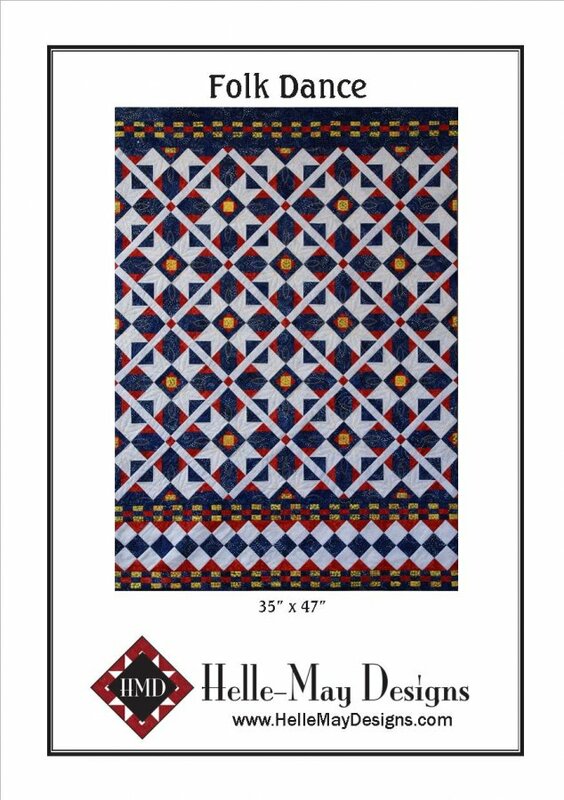 Each quilt is approximately 35" x 48" and is finished to hang like a tapestry. The quilts are quilted through the batting only and then finished pillowcase style without a binding. The top plain fabric strip does double duty as the finishing piece to the top border section as well as forming the rod pocket. Very easy! The quilts are all sewn with batiks from Island Batik. I think they give the quilts a bit of texture, as if they were actually made from wool! 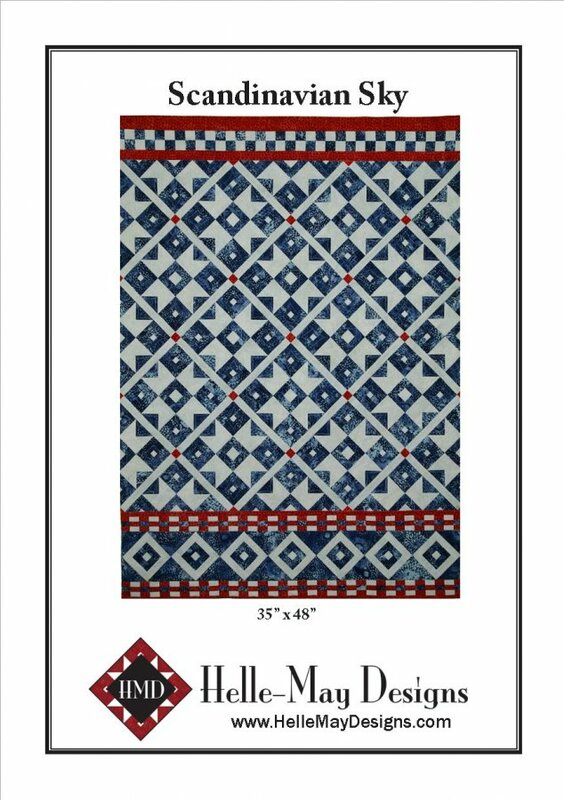 I love the idea that these cold climate country inspired quilts were made from fabrics made in a very warm climate country! These quilts gave way to my QUILTapestry: Orphan Block Workshop where you can learn the finishing technique by making a mini wall quilt from an orphan block. 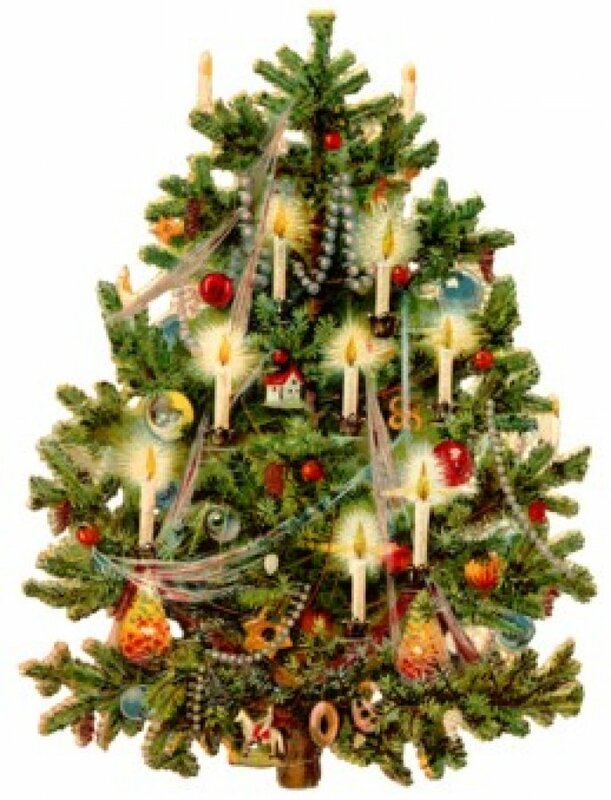 HMD-105 Scandinavian Christmas was inspired by the beautiful batiks of Island Batik fabrics, from which all three quilts were made. The name of the green fabric was Jungle Bean but reminded me much more of pine boughs. The small yellow centers glow like the candles on an old fashioned Christmas tree! HMD-106 Scandinavian Sky was directly inspired by traditional knitted wool vests made for the school children where my cousin teaches in Estonia. I just love the way the the light plays across the quilt as a result of the batik pattern. 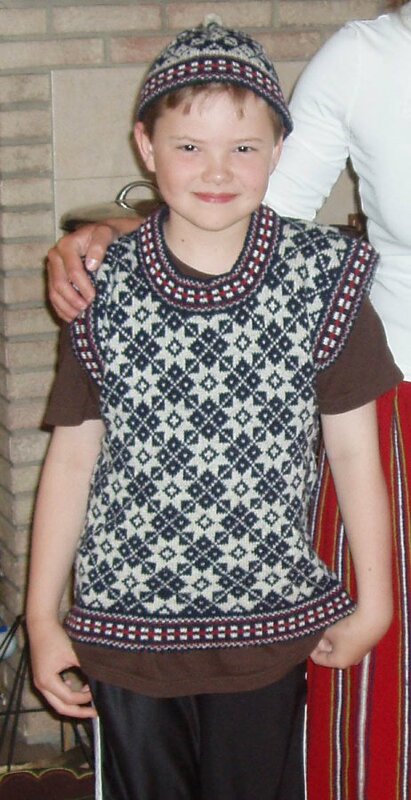 My son modeled the vest as we were preparing to attend the 2009 Estonian National Song and Dance Festival. HMD-107 Folk Dance is the final quilt in the series. The colors were inspired by the traditional folk costumes worn by a group of Estonian folk dancers at the 2009 Estonian National Song and Dance Festival. 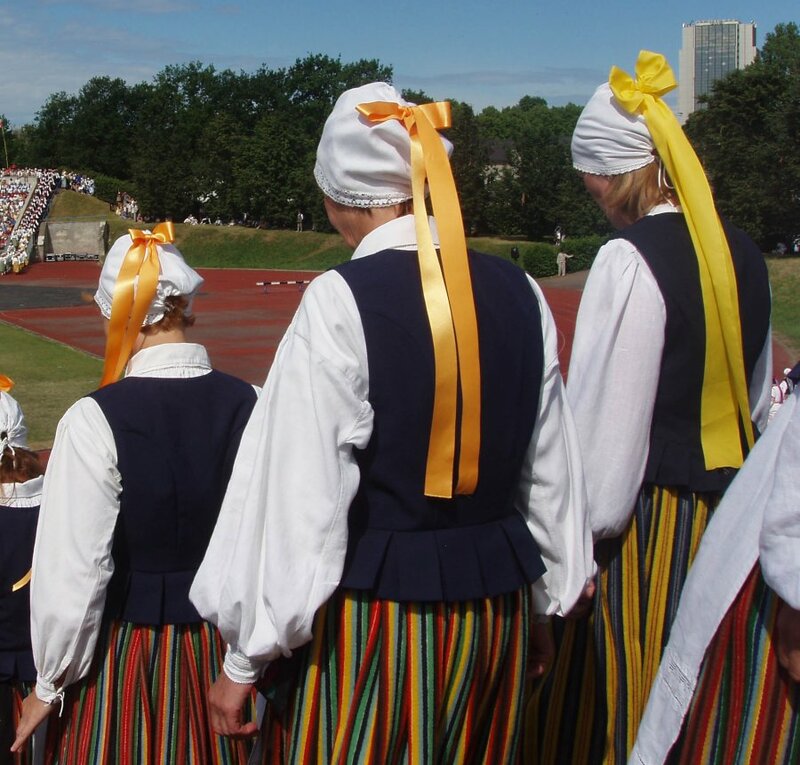 Imagine close to 10,000 dancers, men and women, divided into small groups, each wearing the national folk dress from their region of the country! It was a sight to be seen!